Want me to spell it out for you? "F-O-R-T-N-ITE"
Heads up y'all, that in-game Marshmello concert is happening tomorrow afternoon (aka Saturday, February 2) at 2 p.m. Eastern/11 a.m. Pacific in Pleasant Park. Don't be a jerk and kill people during the show, okay? Can't we all just have fun for once? For once?? 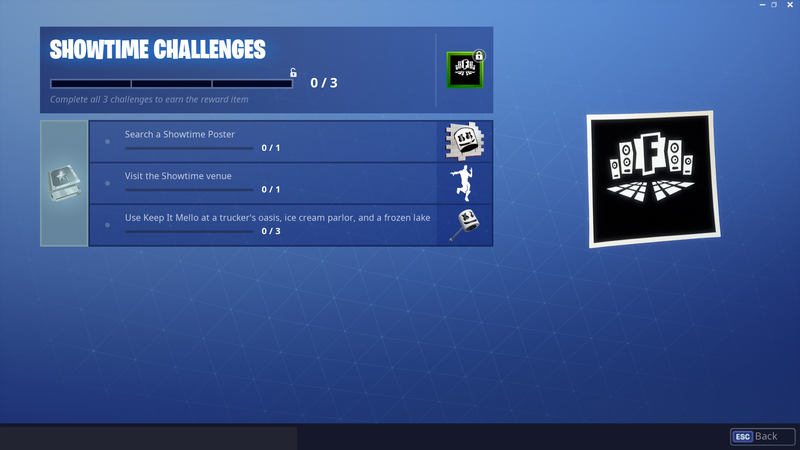 There are three special "Showtime Challenges" that you can complete in the run up to the concert. 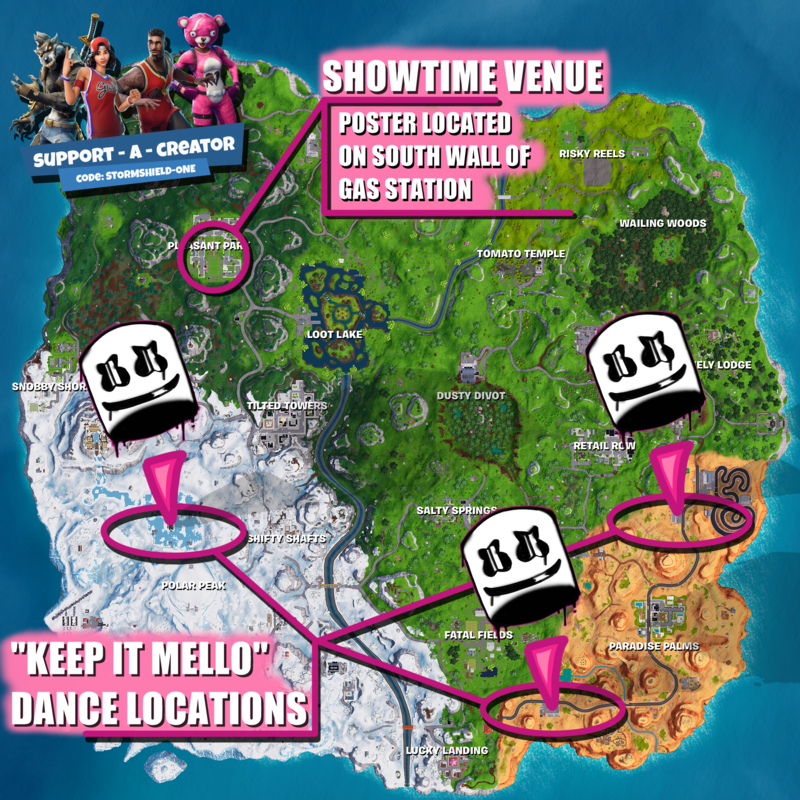 Players can unlock an emote of Marshmello's mascot head by finding one of the concert posters hidden around the island, and can also receive a very boring dance called "Keep It Mello" by visiting the concert stage in Pleasant Park. Once you've got Keep It Mello, activate it at the spots marked on the map below to unlock a Marshmello pick-axe, which is actually pretty cool lookin'. And hey, if you want to spend real money on Marshmello stuff, his costume, actual good dance, and glider are all still for sale in the item shop. We're still not convinced that Marshmello isn't just Deadmau5 in a different hat, or some kind of genetically modified Skrillex grown in a lab, but them beats is fresh and that's all that really matters. We hope Epic continues to do fun, goofy stuff like this that encourages people to interact in ways the don't involve guns. Get 'em while they're squishy!